I have an aunt and a grandmother who feed stray cats who come and go as they please. Does it take a special empathy to take care of an animal? I think it takes a special empathy and a special love to take care of anyone or anything when there is no benefit of a return, whether that be some sort of pay back in terms of credit for good works or guaranteed companionship–when there is no point at which the caregiver demands a certain sustained, prescribed thankfulness or compensation. 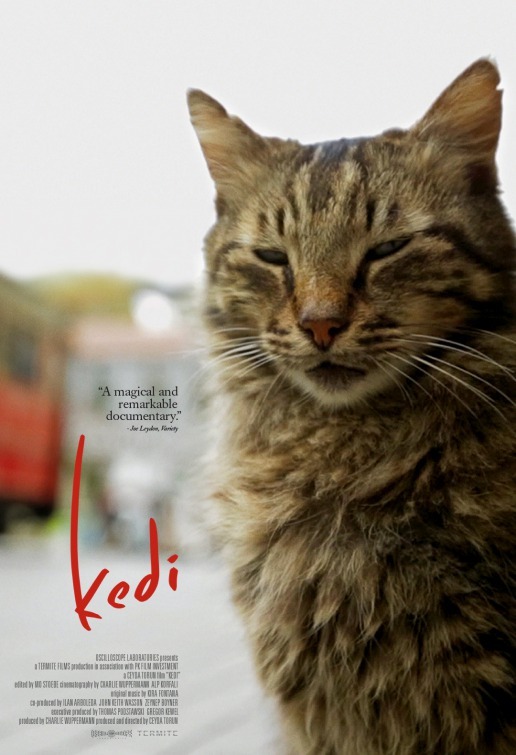 Kedi, from first-time feature film director Ceyda Torun, gives us the picture of street cats who make their lives in the city of Istanbul and shows us the people who take care of them. Cameras follow the cats on their level as the felines go about their daily tasks while going on adventures, protecting their young, guarding their territory, and spending a little time with the various caregivers who protect them whenever they come around, feed them, and love them no matter where they are. Seeing Istanbul from the cats’ perspectives is satisfying, as is hearing the featured Istanbulites describe their feelings for the cats and the importance the animals embody in the communities they inhabit. I was fascinated by everything short of anthropomorphism (by which I am not amused) in how the film shows us the cats’ individual personalities in close-up. 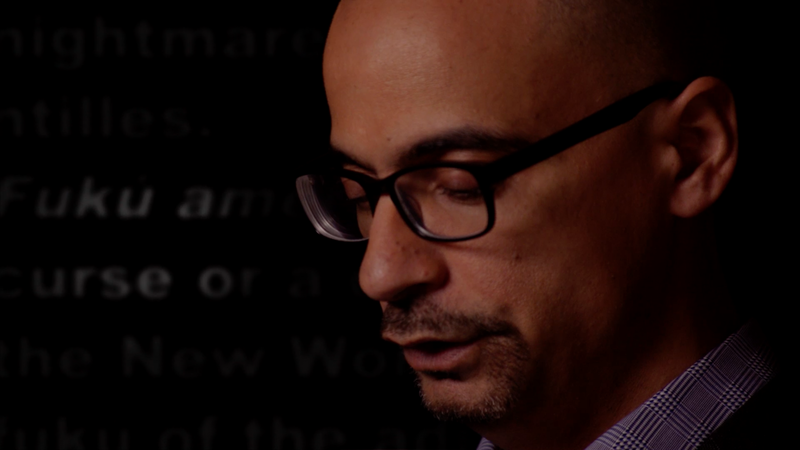 A man in the film remarks, “People who don’t love animals can’t love people either.” There is a lot to be said about love between people and between people and animals in terms of culture, environment, and identity, but I tend to agree, in general, with that sentiment. While my interest waned a little more than halfway through this documentary feature, I am glad I saw and learned about an aspect of a culture that might have otherwise gone unhighlighted. I know I am behind with posting, but I will just keep plugging along. Time to go back to July with Amy. I knew it would be painful to watch Asif Kapadia’s documentary, Amy. I knew it would also be hard to write about it. I first listened to the Terry Gross Fresh Air interview (transcript here) with Kapadia and Winehouse’s former manager, Nick Shymansky. The saddest part of that Fresh Air show for me was learning that when a teenage Amy told her mother about her new discovery of bulimia, her mother, whose non-assertive personality prevented her from parenting her daughter, did nothing. In the documentary, I learned how her father’s affair and her parents’ divorce was the turning point in Winehouse’s life that was the beginning of her downward spiral that resulted in her death at 27. I learned how her father exploited her. I began to see her as a girl and then a woman who never had a chance. As someone who has been truly touched by her music, I cannot help but wish that she had not had the pain that inspired so many of her songs. Because Amy brilliantly shows us the path that Ms. Winehouse took from life as a happy child with beyond-extraordinary talent to one as a star haunted by demons and hounded by the press (and the general, insensitive public), I could see clearly her spiral that seemed inevitable because those she loved the most were not there in meaningful ways. She was doomed. She deserved to have a better life. I do not believe everything happens for a reason. I do not believe a 27-year-old should be sacrificed for some “greater” cause. The home videos, the interviews, the behind-the-scenes expressions of emotions, and the very well-placed Winehouse songs (with lyrics on the screen for us to follow) make the structure of the film create an impact that is that much more powerful. I found myself wondering, “When will it get to the part when she becomes world famous?” But I was glad that I was seeing so much of the journey. And ultimately that world fame was, as it often is, destructive. Amy is a success because of the care taken to make sure we understand Winehouse’s humanity and her sincerity. She is a hero to me. She had everyone around her, but she actually had no one and held on for as long as she could. She gave us her art that she could never quite do the way she wanted. What she wanted for her career she never realized, but I take away her genius. I also take away the peace and self-image that she should have had; instead, those gifts and that security were selfishly and brutally taken away from her. 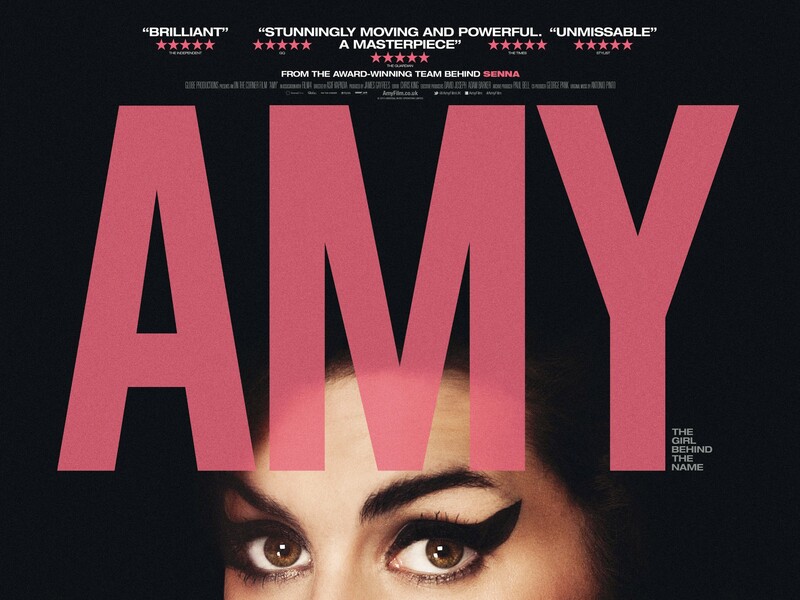 If you are a fan of genius and true sensitivity and true art, see Amy. 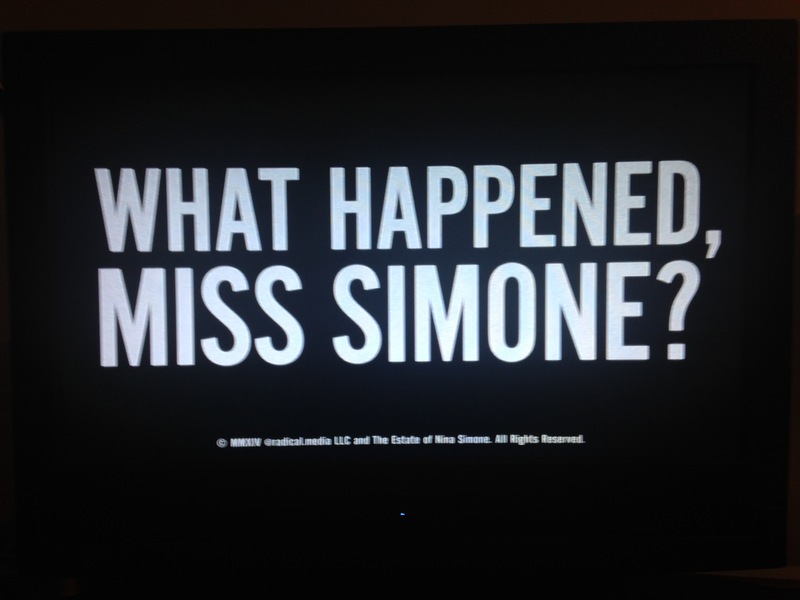 It isn’t hard to figure out “what happened” to Nina Simone. She was born in North Carolina in 1933 and was not allowed to talk about race in her home. Racial terrorism during the 1960s spurred her on to use her art, unapologetically, to speak out—and to figure out who she was and encourage all African Americans to do the same. When she was a child named Eunice Waymon, white teachers noticed her extraordinary talent and taught her classical piano. 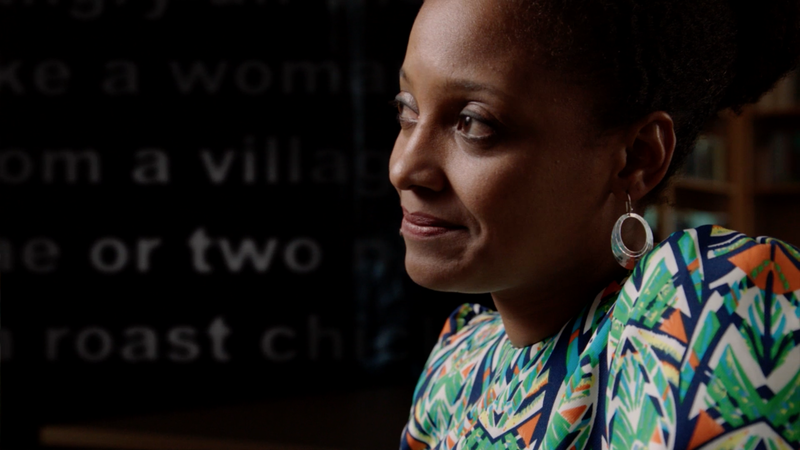 In order to get to her lessons, she —a girl who, for purposes of survival, was taught not to question racism and segregation—had to cross the railroad tracks that divided black and white worlds. After a traumatic end to her dreams of becoming a classical pianist, she found herself a singer. When she chose to use her career as a platform for her activism (see her song “Mississippi Goddam“), her lack of concern for commercial appeal caused people to ask, “What happened?” Life-long demons and increasing frustration about Civil Rights led to abusive relationships; the unrelenting rigor of performing, traveling, and attempting to live up to expectations resulted in health struggles. Liz Garbus’s documentary, What Happened, Miss Simone? 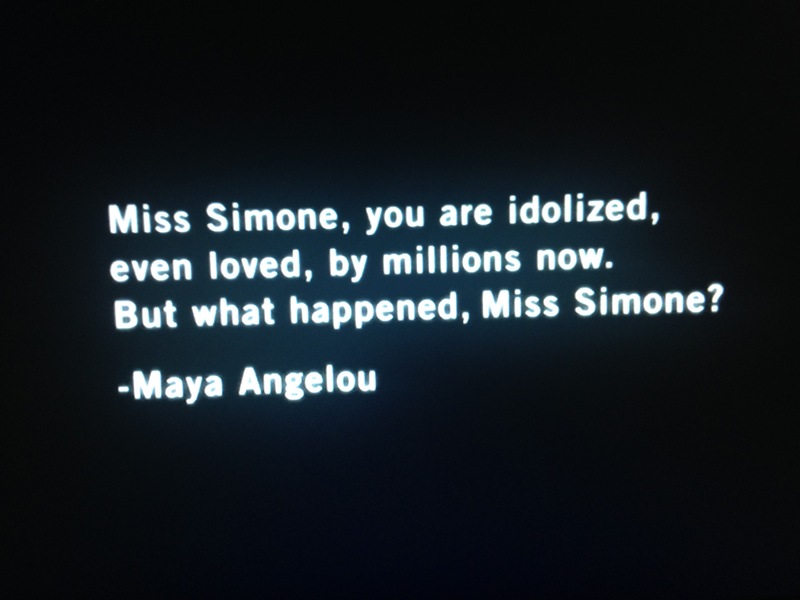 (Netflix), is a wonderfully unflinching look at Simone. The strength of the film is the use of rare, archival footage of her performances and recordings of and interviews with Ms. Simone and those who worked with her and loved her. It was clear to me what happened to her, and I was touched by how she so willingly gave of herself to inspire people and bring attention to the race problem. She used her art, which was what she had to express herself. “How can you be an artist and not reflect the times?” she famously said. In order to achieve what she believed to be the true artistic task, she allowed herself to feel intensely. Her problems nearly destroyed her, but she had the gift of loving friends who came to help save her. What Happened, Miss Simone? tells us what happened but leaves it to us to decide whether or not to consider those “hills and valleys.” I don’t see how anyone could not. When Mukunda Angulo gets a job as a production assistant and displays in-depth knowledge about filmmaking in that setting, I had the thought that he and his brothers possess more skill than many young people I know who leave their homes every day. The situation in Crystal Moselle’s The Wolfpack and in the outside world is, of course, more complicated than that, but it is worth noting the roles of curiosity, enthusiasm, outlook, companionship, and imagination when it comes to facing life’s opportunities and restrictions. The six Angulo (two brothers have since changed their names) grew up with parents who wanted a different, freer life for them. Unfortunately, the inability to get out of Manhattan and a distrust of the city and the people in it (essentially, “the world”) caused the father to restrict them to the walls of their apartment where they stayed locked in. He had the only key to the front door and controlled entry and exit. The boys watched movies—thousands of them. 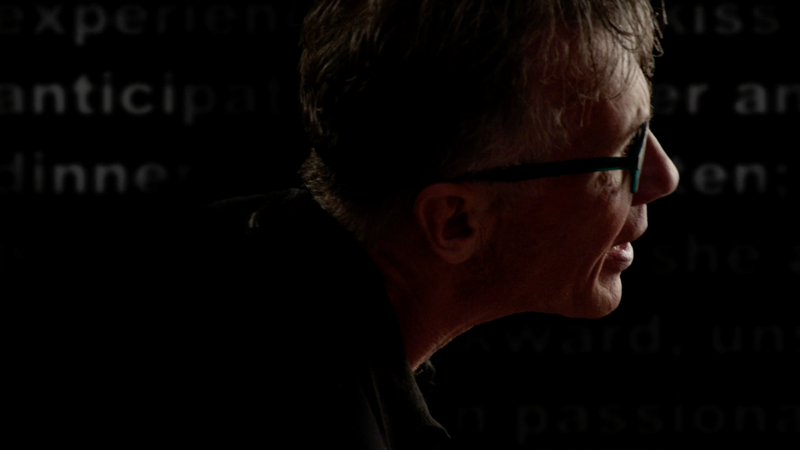 They watched with the creativity and the drive to absorb, appreciate, and reenact the scripts with a seriousness that has them, as we see in the film, watching and rewatching in order to hand-copy entire scripts in order to play the roles among themselves. They create their own costumes, create their own sets, and inhabit roles with deep understanding of the process they learn so much about from their keen powers of observation and from the sheer amount of time they spend with films. They create a (literal) interior world (the rooms of their home turned movie sets) that grew from the interior world of their creative minds spurred on by their love of cinema. They began to venture outside to explore New York. Moselle discovered them one day on the street early on. 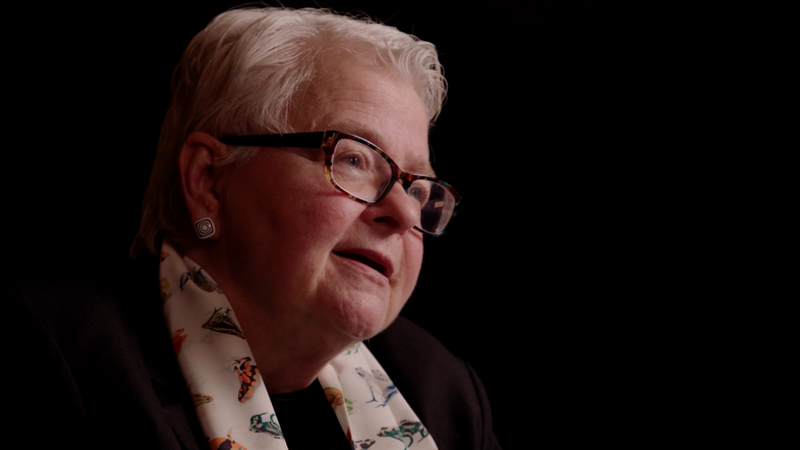 When watching the film, I was most saddened when watching interviews with their mother, Susanne. It seemed that she was always negotiating in the gulf between her husband and her children. She says “there were more rules” (set by her husband) for her “than there were for them.” What of her life and her own self-expression? I was struck by how she shows her deep love for her sons while balancing her relationship with her husband, who is estranged from most of them. Their lives have affected each brother in different ways, but that they have each other is what I took from the film—and what I mentioned earlier—the roles of curiosity, enthusiasm, outlook, companionship, and imagination when it comes to facing life’s opportunities and restrictions—is definitely something to think about. For updates, see this New York Times piece (June 10, 2015) from Cara Buckley.